Just about ready to get my hands dirty. 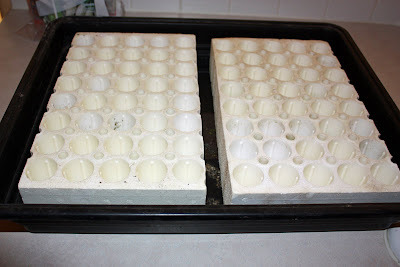 The seed-starting trays are cleaned up and ready for soil. Petunias are first, since they are the slowest to start from seed.